Google is working hard on updating it's Play Store App, always updating the its User Interface which set the standards for the the Material Design Apps. Kirill Grouchnikov, a Google UI engineer, has just posted a GIF photo on Google+ that shows an updated UI of the Play store App. 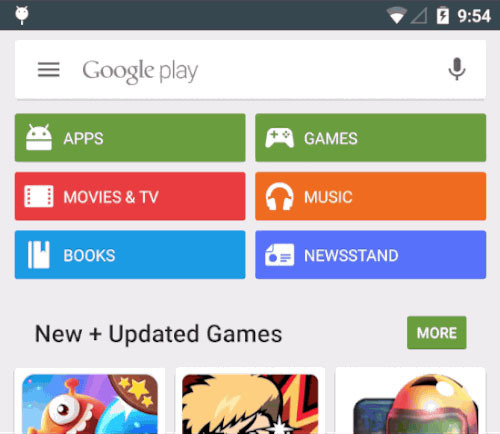 The animated GIF photo shows an upcoming version of the Play Store that will be seeding to your device very soon. The G+ post has the hashtags "#ToolbarIsNotDead #SearchBoxIsTheToolbar"... What does this mean ? Well, You may Notice that the Google Search bar has gotten into the App top bar... 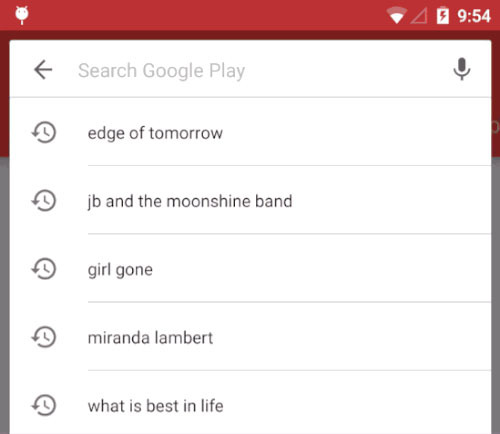 Yes, actually the Google Search Bar will be the New toolbar, it will appear whenever you need it to search for whatever you want wherever you are (play Movies, play Games, play music... etc).